This USB-C™ to DVI adapter lets you connect a USB-C laptop, such as an Ultrabook™ or MacBook Pro, to a DVI display. 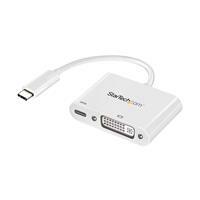 The video adapter features USB Power Delivery, which enables you to power and charge your laptop while you're outputting video to a DVI display. To match the aesthetics of your device, this adapter is colored white. 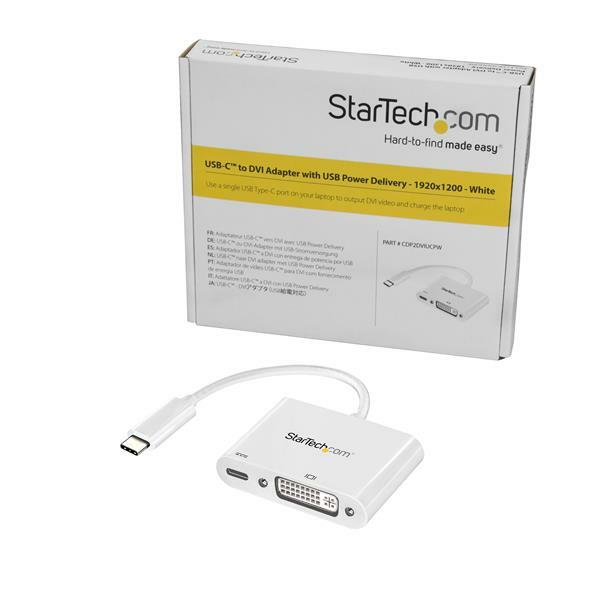 The CDP2DVIUCPW is backed by a 3-year StarTech.com warranty and free lifetime technical support.